Have you ever felt like eating pancakes but you don't feel like standing in front of the stove pouring, flipping, cooking, repeat? This "cake for breakfast" is a giant pancake made in the oven. Preheat oven to 350°F. Line a square pan with parchment paper; set aside. Mix together dry ingredients (flour, sugar, baking powder, cinnamon). In another bowl, whisk together wet ingredients (egg, buttermilk, sour cream, oil and vanilla). Add wet to dry ingredients and gently mix just until combined (a few lumps are ok). Wash and cut strawberries into small pieces. Drain on paper towel to reduce moisture going into the cake. Gently fold in strawberries. Pour into pan and bake for approximately 1 hour (until the top is browned and a toothpick comes out almost clean). 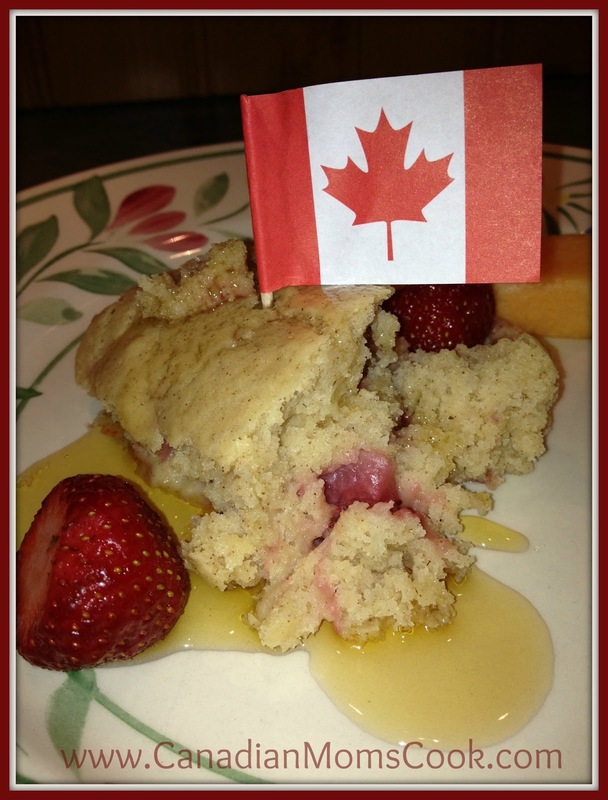 Cut into pieces and serve with maple syrup and fruit. I made this up at the cottage for a group of 10 people on Canada Day weekend. I doubled the recipe and it turned out really well. I baked it for approximately 1 hour and 15 minutes, so cooking times will vary. 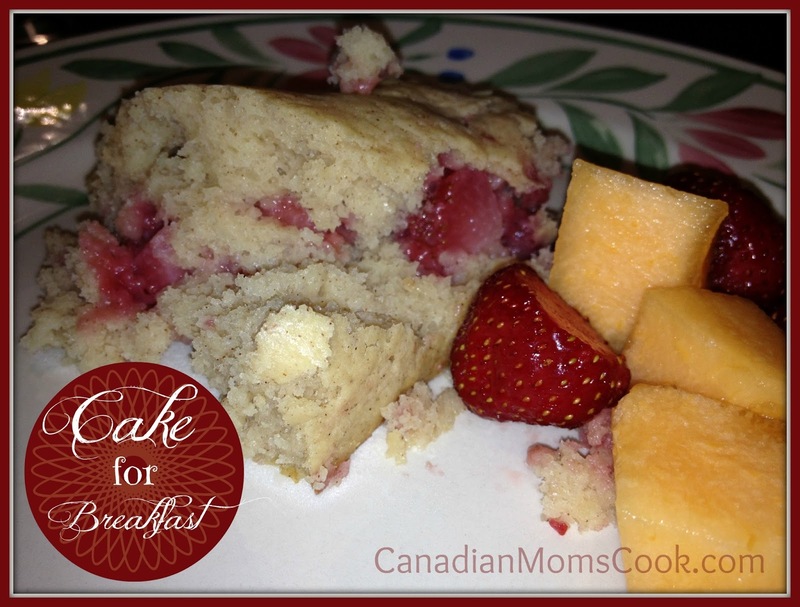 There were no left overs with this delicious breakfast! I will definitely be making pancakes in a CAKE again! It is SO much easier and just as yummy as pancakes. A great solution to left over taco meat, a yummy late night snack and perfect for a party, you will love these Taco Nachos, trust me! These were delish!!! Everyone, even the kids, thoroughly enjoyed them! We thought these were very tasty! 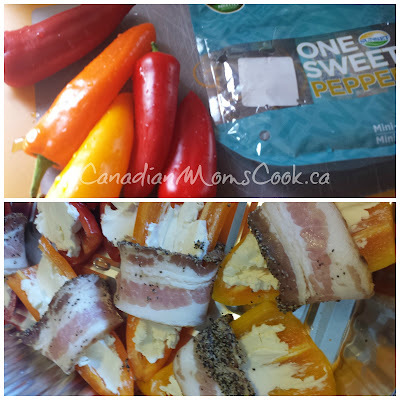 Would be great for a BBQ, a colourful addition to any table and a yummy appetizer or late night snack while sitting out on the deck! This chocolate peanut butter mixture is truly delicious and beautiful too. 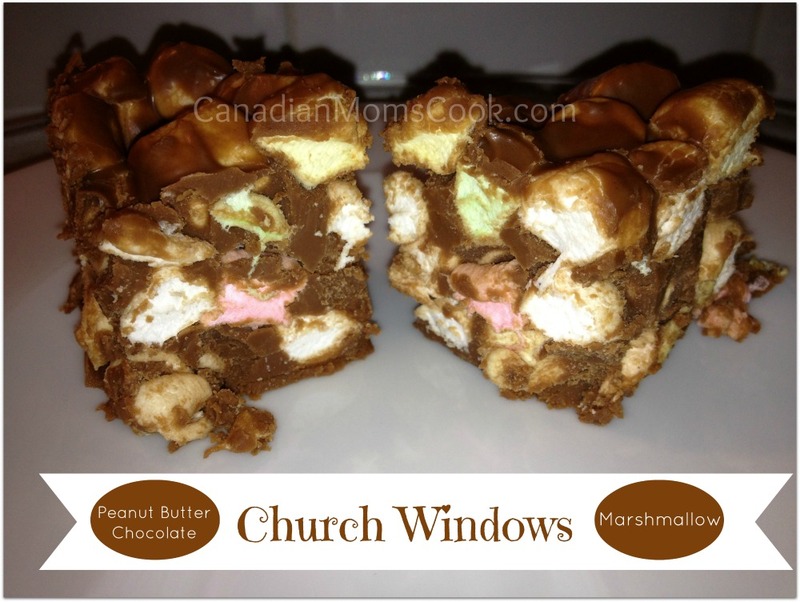 The "Church Windows" name comes from the colourful marshmallows when you cut the squares. They look like stained glass, if you use your imagination. Cook time: This is a NO bake recipe! In a large pot, melt chocolate chips and peanut butter together until melted, mixed and shiny. Remove pot from heat and let cool for approximately 15 minutes. Add marshmallows to peanut butter and chocolate and stir to combine. Put mixture into pan, spreading evenly to the sides. Refrigerate until chocolate hardens (approximately 2 hours). 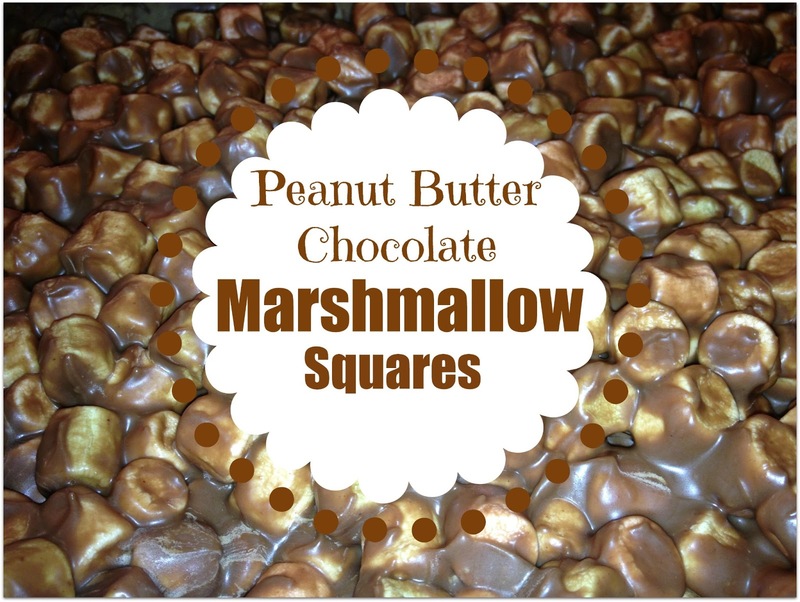 These squares can get VERY soft if left out on the counter, so they are best stored in the fridge. They are very delicious, but somewhat rich. We brought these up to the cottage on Canada Day weekend and everyone kept asking for them at every meal. This past week, I found myself asking the question of "how long can I keep this in the fridge before it goes bad" a lot so I went to good old Google and discovered a great website! I am concerned about Food Safety all of the time, but I find during the summer months, due to the heat, I often question the safety of food more often. Next time you are even a little bit unsure about whether or not a food is safe for you to eat or you aren't sure about the best way to store it, be sure to consult Shelf Life Advice to find your answer! 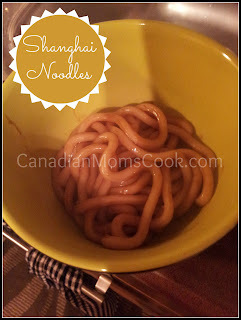 Today I wanted to share a couple Asian style dishes that can be a base or addition to all sorts of meals. 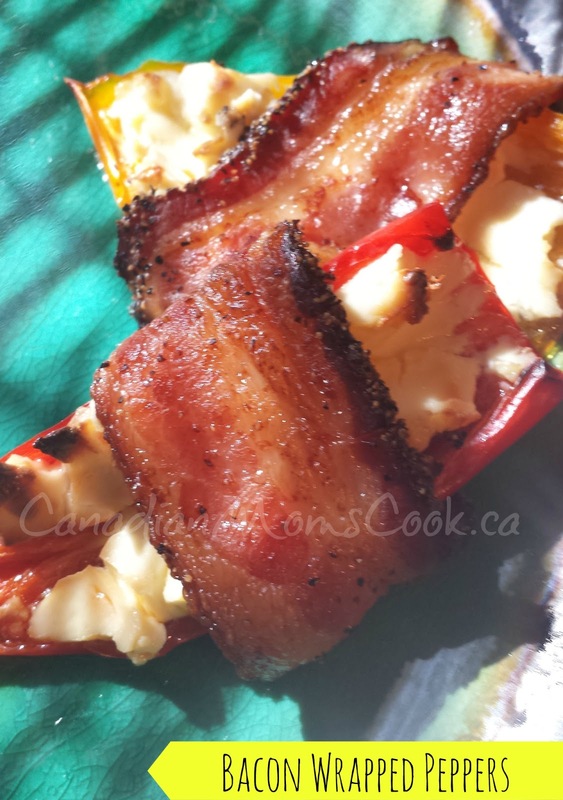 Now that you know how to cook these 2 dishes you can do any number of things with them. Cook shanghai noodles as noted above and serve as a side dish or first cook chicken, pork, beef or shrimp and add noodles and veggies to make a stir-fry. 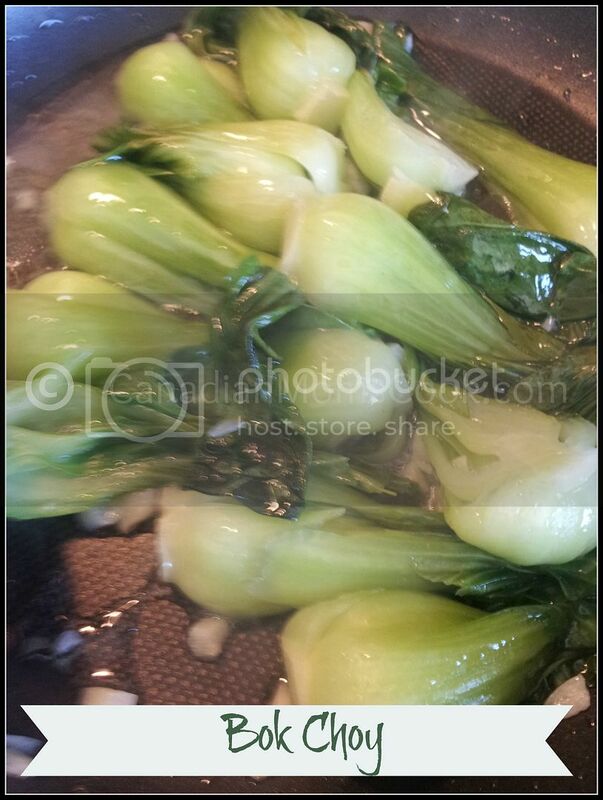 Bok choy can be served as above for a side dish, or added to a stir-fry as well. 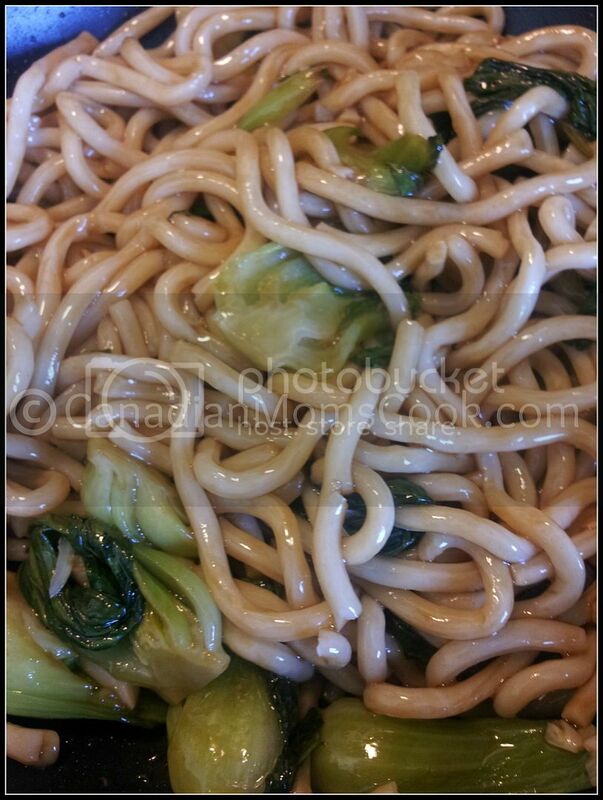 I love serving shanghai noodles and bok choy together. I don't know about Stacey, but I'm a messy chef. What about you? Are you clean in kitchen or are you like me and the kitchen looks like a complete disaster just in time for dinner to be served? 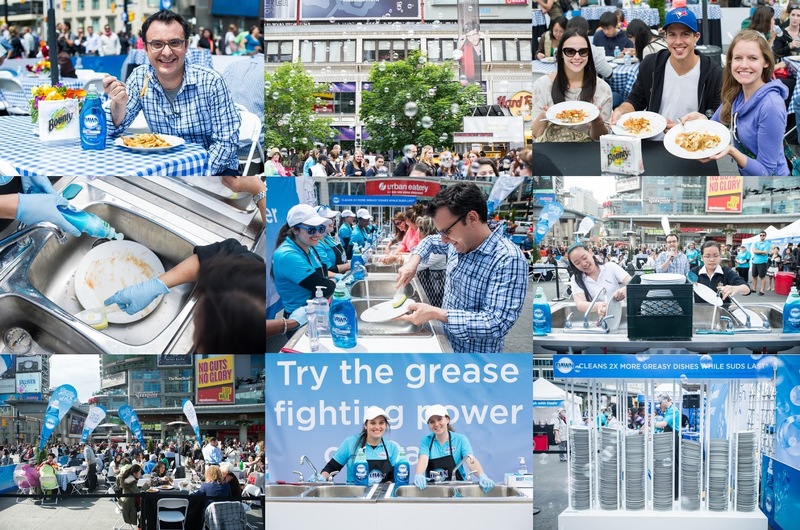 We shared a super fun clean up event that was held in Toronto over at Multi-Testing Mommy and we are super excited to be sharing this "clean-up giveaway" with you today. 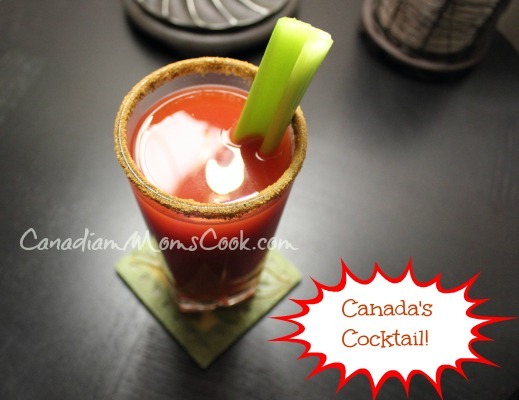 Invented in Calgary, Alberta in 1969 by restaurateur Walter Chell to celebrate the opening of a new Italian restaurant in the city, caesars are Canada's cocktail and I LOVE them! Caesars are one of my favourite mixed drinks, you can't go wrong with ordering one, they always taste great. I love finding a GREAT one in bars or restaraunts, I recently went to a place that made it's own rim, garnished with a pickle and a lime and it was AMAZING! 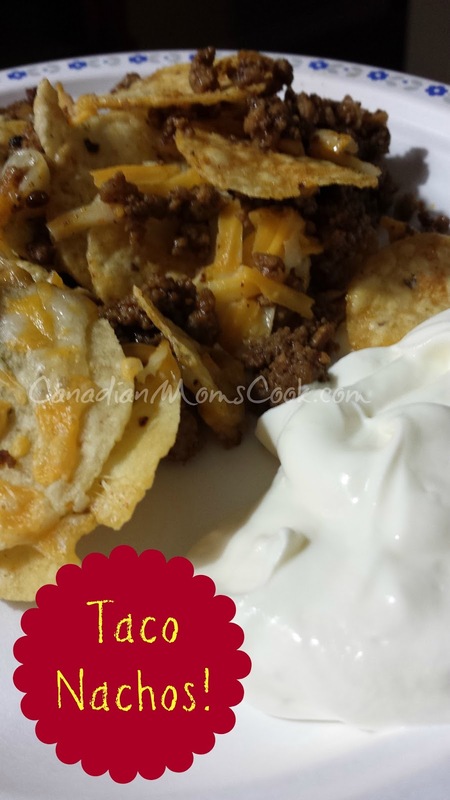 Easy to make at home and experiment with too.